The Germanmade characteristics of RWS Power Ball pellets make this diaboloshaped pellet an excellent choice for hunting small animals such as pests and varmints with a 177 caliber break barrel air rifle. Power Ball pellets are also optimum for silhouette shooting where high energy transfer is a must. 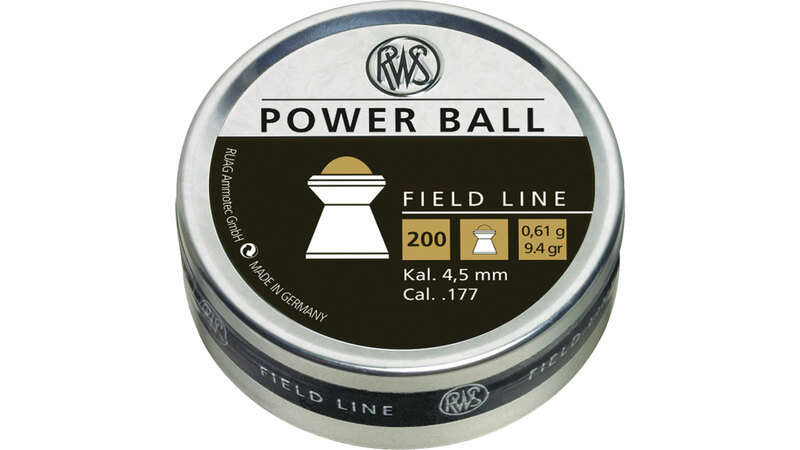 The combination of the combined steel ball and lead construction of the RWS Power Ball creates a balanced pellet with consistent accuracy and excellent penetration on target. Power Ball pellets are 7.1 mm long.